Posted July 8, 2013 by Will (Chief Information Officer) . Have you ever been caught in a conversation about what’s trending on Twitter or someone’s latest #Vine video and been completely lost? To many, Twitter is like the first day of a foreign language class where everything you read and hear seems like gibberish that is never going to make sense. Then after a little time and practice, it becomes natural. The first step is to understand what a hashtag is and how to use it. From there, all it takes is a little creativity, relevance, and good content to turn your posts into the latest trending topic. 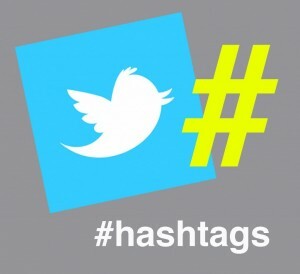 Technically, a hashtag is a pound sign (#), but in the world of Twitter it is a way for users to categorize their content in a way that ensures their posts will reach a relevant audience in a unique and engaging way. Now take that definition and apply it to the average of about 58 million posts per day and you have a mountain of different categories and topics floating around just waiting for someone to engage in. All you have to do is make sure that you get to the top of that mountain by picking a hashtag that is effective and relatable to your target audience. How do you use a Hashtag effectively? Reusing hashtags can also be effective, but if you are marketing for certain event, promotion, or conversation, it is important that your tag is unique and easy to remember. For example, when Samsung wants to promote their latest phone through Twitter, they will use #GalaxyS4 rather than just #mobilephone or #samsungphone. This way they can target their posts towards users that have something to say about that particular product, and they won’t have to sift through thousands of tweets to find those posts. Keeping your hashtags short is another key factor to consider when creating your own hashtag. Longer tags can be hard to read and even more difficult to remember, so if you want someone to remember you, make sure you keep it short, sweet, and unforgettable! What is your favorite trending hashtag on Twitter right now? We would love to hear from you! Please leave your questions or comments below. Contact AMG today for a free assessment of your social media strategy?